View! View! View! 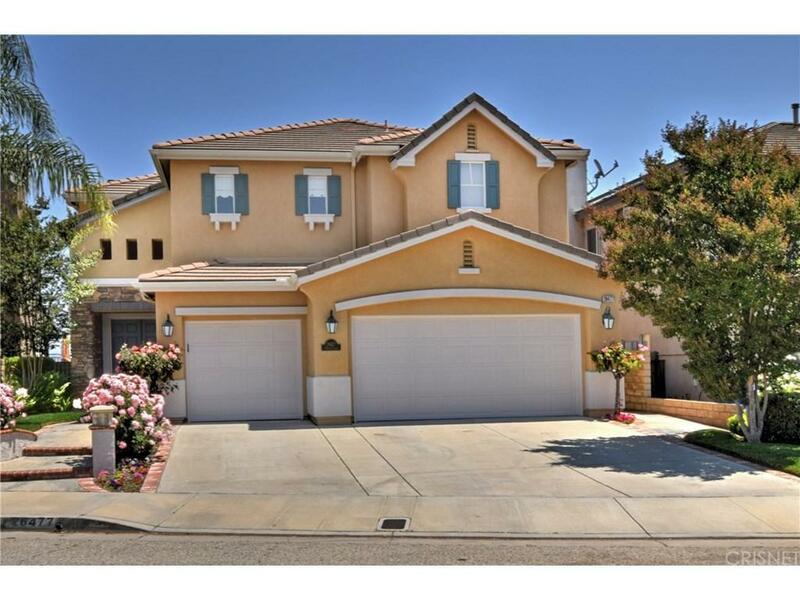 Attention All Stevenson Ranch View Buyers & Agents! Wait Till You See This One Of A Kind View Property! Like Living On A Cloud! Views! Views! Views! Unbelievable Spectacular Entertainers Backyard With Green Grassy Area, Beautiful BBQ, Firepit & Room For A Pool! Must See To Believe! Ultra Rare Chance! Original Owners! First Time Ever On The Market! Superb Curb Appeal! Fantastic Flat Cul De Sac! Pride Of Ownership Street! Perfect Move In Condition! Custom Upgrades Throughout! Excellent Floor Plan With 1 Bedroom & Bath Downstairs! Home Is A 5 Bedroom Setup As A 4 Bedroom & Den Or Loft With Closet, Could Easily Be 5 Bedrooms Again! Gorgeous Granite Center Island Cook?s Kitchen With Lots Of Storage! Magnificent Views From Marvelous Master Suite With Luxurious Bath & Spa Tub! Custom Shower With Steam Unit! Beautiful Real Hardwood Floors! Fabulous Family Room With Fireplace! Terrific Room Sizes! Great Location! Close To Everything! Outstanding Schools Nearby! All 10?s On Greatschools! If You Are Only Seeing One Astonishing View Home In Stevenson Ranch In The Price Range, Make Sure This Is It! Do Not Miss! Standard Sale! Must See! Stevenson Ranch Living At Its Best! Sold by Mike Glickman BRE#00687722 of Represented By.